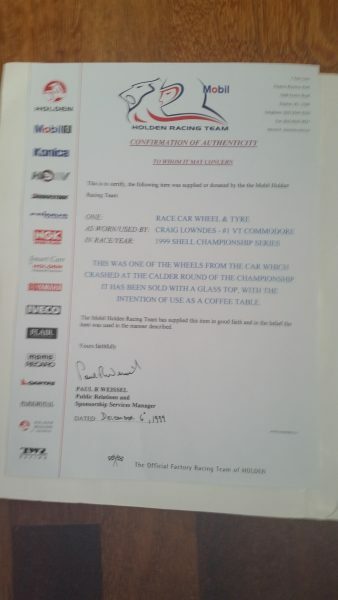 Craig Lowndes wheel( rim & tyre) off HRT V8 Supercar crash at Calder in 1999. 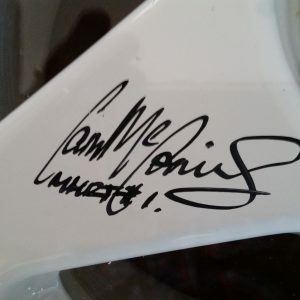 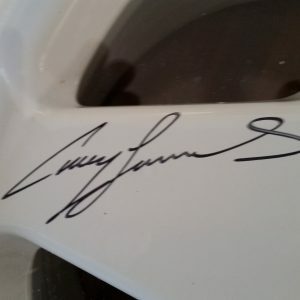 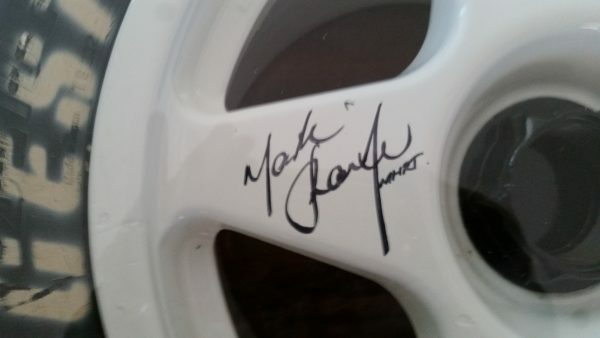 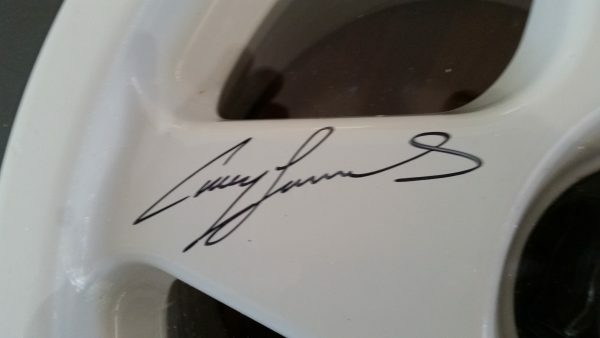 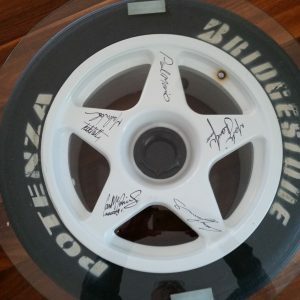 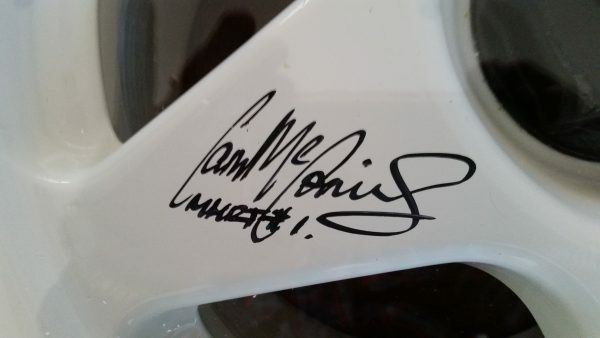 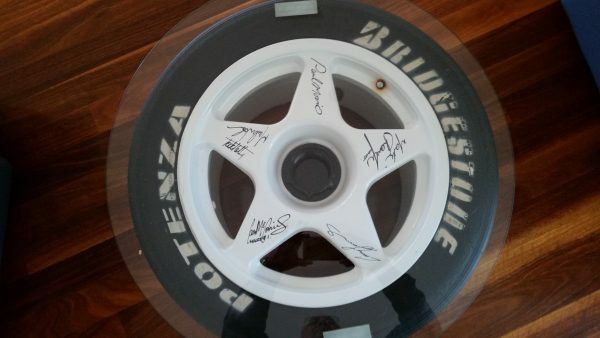 Spokes of the wheel are signed by signed, Craig Lowndes Mark Shaife Todd Kelly Cameron McConville Paul Morris. 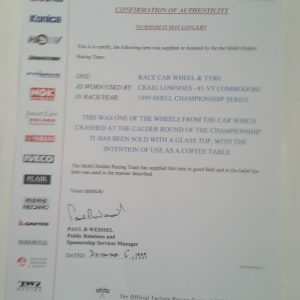 A letter from HRT proving authenticity of Wheel purchased from HRT. 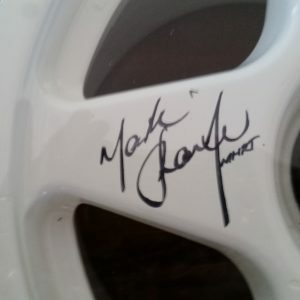 Also in addition it has a glass round top which converts it into a prominent coffee table or side table.